A new job, problems finding appropriate clothing and a significant life event (specifically a wedding, divorce or arrival of a baby) are commonly quoted as the motivation to want to remove a tattoo. In the past tattoos were erased by removing the skin tissue. This lead to significant scarring, that would in many cases look more unsightly than the tattoo that had been removed. The discovery of ‘selective photothermolysis’ means that it is now possible to target tattoo ink, without causing damage to the surrounding tissue structure – by using a laser. The Lbrite Nd:YAG laser operates at 1064nm and provides optimum removal of black and blue tattoo ink – because it’s outside of the visible spectrum it’s safe and effective on light and dark skin types. As well as being highly effective in its normal state the Lbrite Nd:YAG has a ‘frequency-doubling’ module which adjusts output to 532nm for the effective treatment of coloured tattoos. The LBrite is a cutting-edge Nd:YAG laser unit designed specifically for the removal of tattoos. 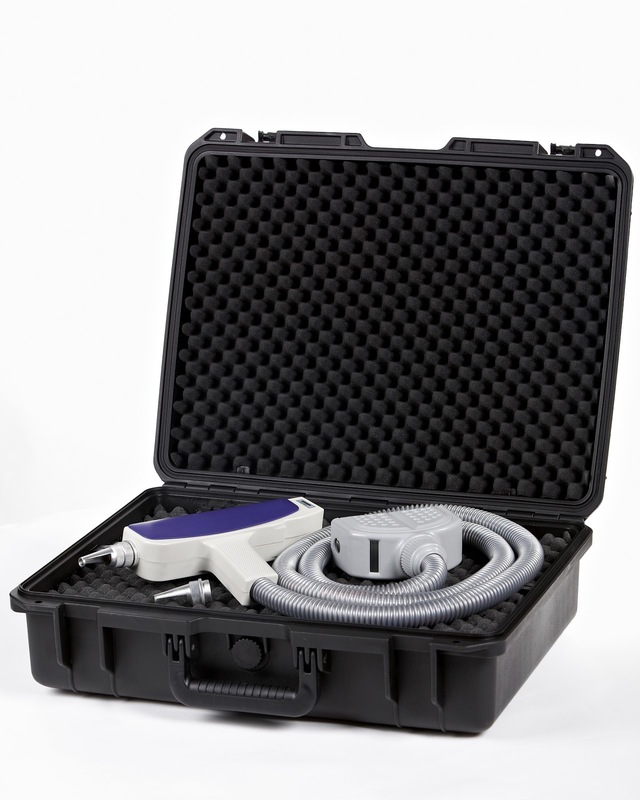 The LBrite is supplied as standard with fully certified manufacturer’s training, delivered by medical staff. The training includes health and safety, maintenance, relevant physiology and anatomy modules, consultation and consent process, application and treatment delivery. In addition all documents, forms and paperwork are provided and you will benefit from ongoing support from the medical staff who trained you. You will also receive a full warranty, giving you total peace of mind, as well as a service agreement to ensure that your equipment is professionally maintained by regular onsite service visits. A marketing package is supplied to assist in the promotion and advertising of the device and related treatments, as is the support of our in-house design department. LBrite – Laser Tattoo Removal – you do the maths! With the superb LBrite Nd:YAG system and support packages and with a potential 2.4 million customers it’s simple to be successful.